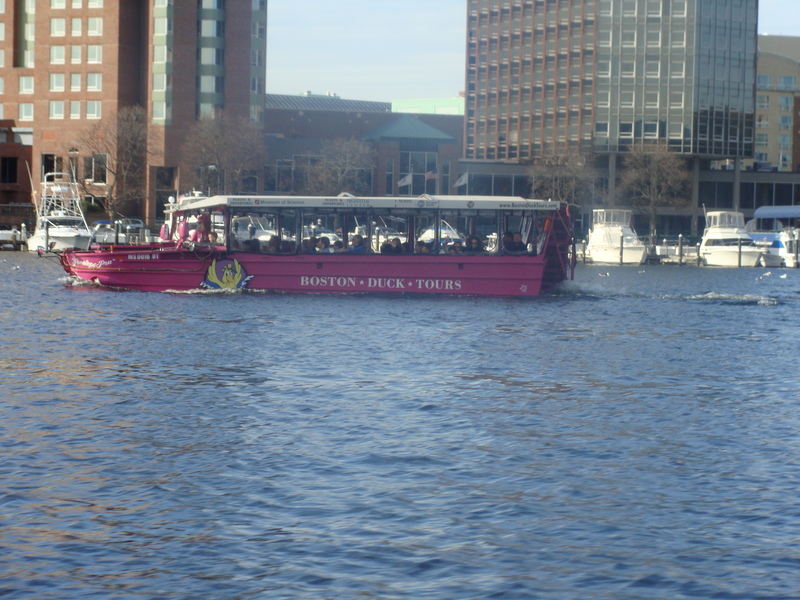 Super Duck tours are amphibious tours of Boston. Visitors board a bus and are taken on a narrated journey through the streets and sights of Boston. 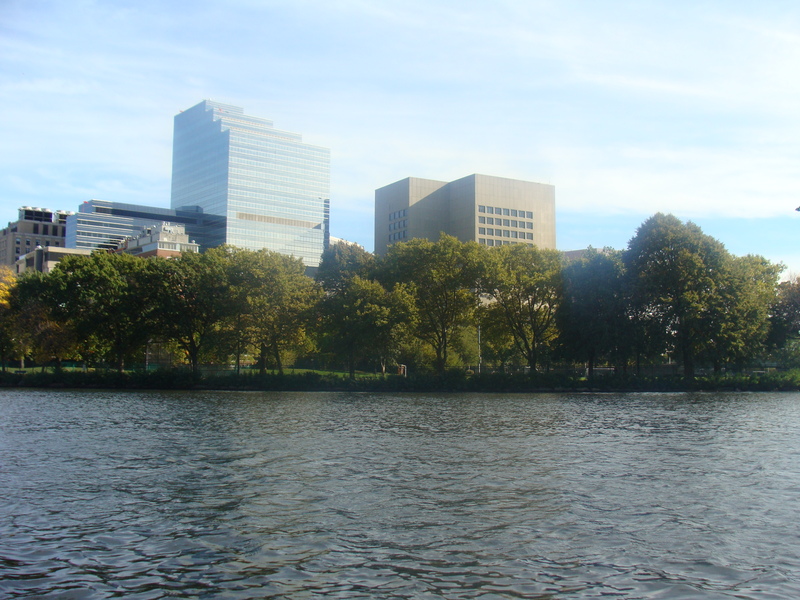 Upon reaching the Charles River, the bus plunges boldly into the river and the journey gets transformed into a nautical adventure! 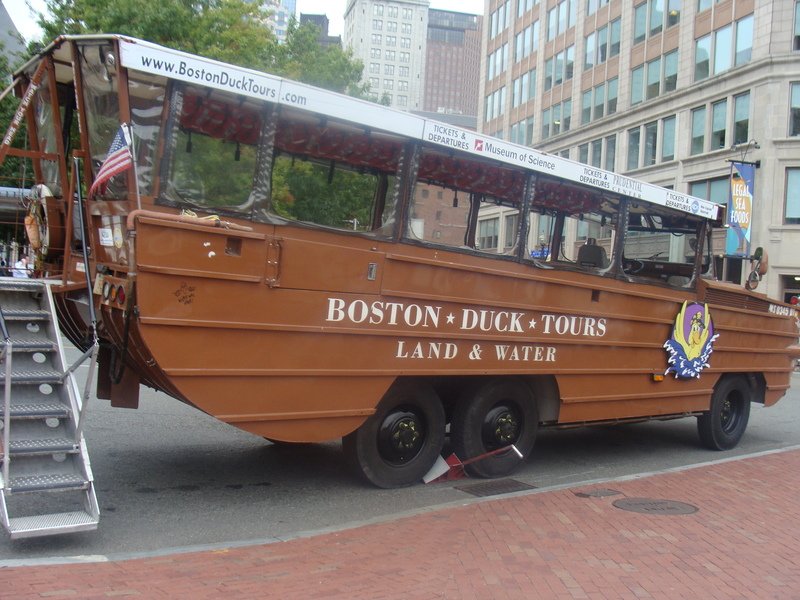 The Boston Duck Tours vehicles are inspired by the historic DUKWs that saved American forces during World War II. The name DUKW is a military acronym : D signifies “designed in 1942”; U signifies “utility amphibious cargo carrying vehicle”; K signifies “front wheel drive”; and W signifies “double rear axle drive”. While the official name was DUKW, soldiers called them Ducks. During World War II, in Europe and in the South Pacific, troops and supplies needed to be taken from ship to shore usually in locations with no port facilities. The American armed forces needed a rugged, seaworthy vehicle that could land on shore and then drive directly to the front lines. In 1942, the DUKW was designed, tested and put into full production in just 6 months. It was equipped with a hull pump that could move almost 1000 litres of water a minute. It could climb a 60% grade and broach an 18 inch high obstacle. It had a range of 350 km on land and 80 km on water. It could carry a cargo load of 2400 kg and 25 fully equipped troops. DUKWs were designed to maneuver with great agility. They could fight their way through choppy oceans, huge breakers and exit the water onto soft sand without losing traction. They had specially designed windshield surf boards to avoid taking on too much water and flooding out the driver. The DUKW’s first battle was the attack on Sicily during World War II. They performed key services such as delivering emergency supplies to the troops, as well as evacuating wounded soldiers. They also played a key role in the invasions of Salerno and Normandy. On the other side of the world, in the South Pacific, the DUKWs proved to be invaluable because shallow water surrounded many of the Japanese held islands and conventional landing craft could not land on the beaches. Production of the DUKWs ended in 1945 when the war ended. Many DUKWs were given to fire and police departments, civil defence units etc. They were used again in the Korean War, but by the end of the 1960s all had been retired from active service. Today these DUKWs are used in several American cities like, Boston, Seattle, Branson, Baltimore, and several cities outside USA like London, Singapore, Montreal etc , for tourism purposes and have proved to be very popular . 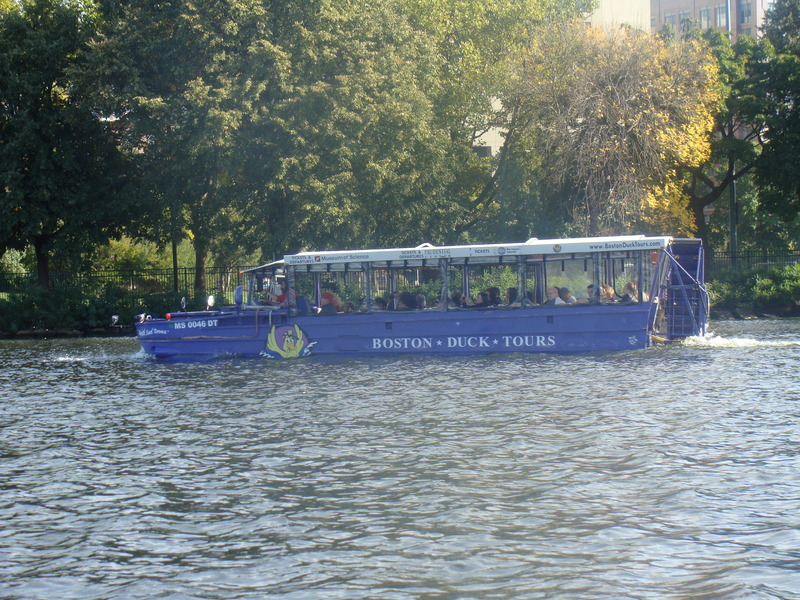 The Boston Duck Tours still have 2 World War II DUKWs in their fleet, along with 26 modern replicas, which use biodiesel and therefore are quieter, and more environment friendly. Waterfront Wanda, painted blue; Dorchester Dottie, painted with dots over a bright purple. A Palace all Alive !! !